+ 5 = eleven Required Please enter the correct value. Stock market close, Aug. 8, 2014: The DJIA and other U.S. markets soared on Friday after positive economic data indicated fundamental growth in the domestic economy. According to reports, American workers were highly productive in the second quarter, while labor costs were on the rise. The news is a welcome change from the slew of negative data that rocked the first quarter. The production rise offset continued concerns about escalating geopolitical concerns in Ukraine and news that U.S. forces have been authorized by the president to bomb regions of Iraq held by ISIS militants. Ebola Treatment: Shares of Tekmira Pharmaceuticals Corp. (Nasdaq: TKMR) soared more than 37% today on news that the U.S. Food and Drug Administration (FDA) is getting closer to approving its anti-Ebola drug to treat humans diagnosed with the deadly disease. 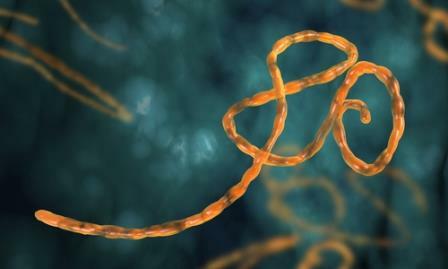 The outbreak in Africa has forced the U.S. Centers for Disease Control and Prevention (CDC) to declare a state of emergency. Numerous Americans have been tested across the country after returning from nations where the outbreak continues to spread. Amazon Targeted: Shares of McDonald's Corp. (NYSE: MCD) were up slightly this afternoon despite concerns that the company's sales in China may have stalled. MCD is battling a losing fight to protect its brand image after the firm was suspected of selling expired meat, chicken, and fish from a local supplier. Overall, the company announced same-store sales slipped 2.5%. The bulk of this decline came in the Asian region, where it saw a June decline of 7.5%. 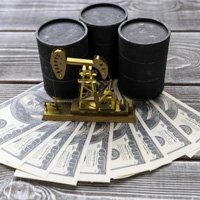 USA, USA, USA: Despite rising geopolitical concerns over Iraq and Libya, the Organization of the Petroleum Exporting Countries slashed its 2014 outlook, citing strong global supplies of oil and gas. OPEC stated that fading U.S. demand, due to both the fracking boom across the country and reduced demand for automotive gasoline, is a primary driver. OPEC has yet to make any comment on whether it would affect their 2015 outlook as well. Your Credit Is Changing: The Chicago Tribune reported that Americans' FICO scores are going to be recalibrated to provide greater relief for those who have paid off past debts. The recalibration will also separate medical and non-medical debts. According to the report, medical debt that has been handed off to collection agencies had a reduced impact on a person's overall credit score. It is expected that a person with medical debts owed to collections will see a rise in their score by an average of 25 points.